Also, we are manufacturer of Rubber Roller for Winding Rewinding Machine For Batch Printing of the flexible packaging industries. The offered rewinding machines are extensively used for rectifying defective printed & laminated reels. Moreover, customers can avail these machines from us in varied specifications and grades as per their requirements. We have been successful in catering to the requirements of our esteemed clients by offering quality Winding Rewinding Machine For Batch Printing. All type of Winding Rewinding Machine, Doctoring Rewinding Machine, Paper Winding Machine, Winder Rewinder Machine, Winding Machine, Rewinding Machine. 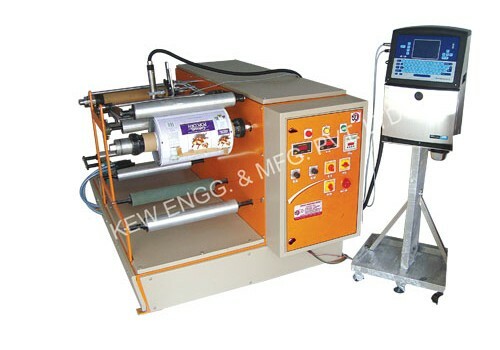 Batch coding Machine, Batch Printing Machine, Winding machine, Rewinding Machine.